Everyone knows they should set aside savings in order to prepare for their future and reach their goals. Record-keeping can be hard to figure out. Just writing down everything you want to remember is as good a way to keep records as any. There is one thing you should consider doing, though, in order to reach your financial goals. It’s a good idea to divide your savings into a few or several sub-accounts, depending on your plans. If you feel you don’t have enough money to divide it into different actual accounts, you can write down everything, like how much of the total in your savings account goes to each sub-account. Why would you want to do this? Because not every savings goal is worthy of receiving as much attention as all the others. You want to set aside enough savings in order to reach your goals before the funds are needed. Let’s say you want or need to save for the following things this year: a week-long family reunion in another state, emergencies such as a health crisis or a required evacuation of your home, the purchase of a more reliable car fairly soon, and a refreshing of your wardrobe for the next major change of season. The first step is to decide how much you can dedicate to savings each paycheck. Take the after-tax amount of your paycheck and deduct the amount of all the bills you need to pay with this check. Also deduct the cost of groceries and transportation, as well as any other necessary expenditures. Divide the remaining amount between fun spending and savings. This gives us the amount of savings we have to work with. Obviously, not all of your savings goals are equally needful. Some should be funded more quickly than others. How do you prioritize? Consider what the consequences would be if the day of the event arrived and you had no funds. How badly would it impact your life or the lives of your family members? Also factor in how likely the event is to happen. If your family has lived in the ancestral home for eighty years and have never had to evacuate, you might feel fairly sure of being able to shelter there through anything. If so, then funding the evacuation fund might take a backseat to the car purchase for the next year or so. Just be logical and sensible about your decisions. On a piece of paper, list your sub-accounts. In our example, you would make a list of family reunion, emergencies, car and wardrobe. Decide which are the really important goals (probably emergencies and a reliable car), and which could wait (perhaps the family reunion and wardrobe). It’s up to you to decide which sub-account is most important. It’s also up to you to decide how much of the money you have set aside for savings goes to each of these sub-accounts. The more money you can put towards these goals, the faster you can reach your goals, obviously, but anything is good. Once you have the amounts figured out, you can simply have the total amount transferred to your savings account at the appropriate time. If you can’t do the automatic transfer, you can simply do it every time by hand. Once it’s transferred, you can add the various amounts to the sub-accounts on paper. That allows you to know when you can actually set aside the amount needed for emergencies or pay for the desired goal, as you reach that amount. 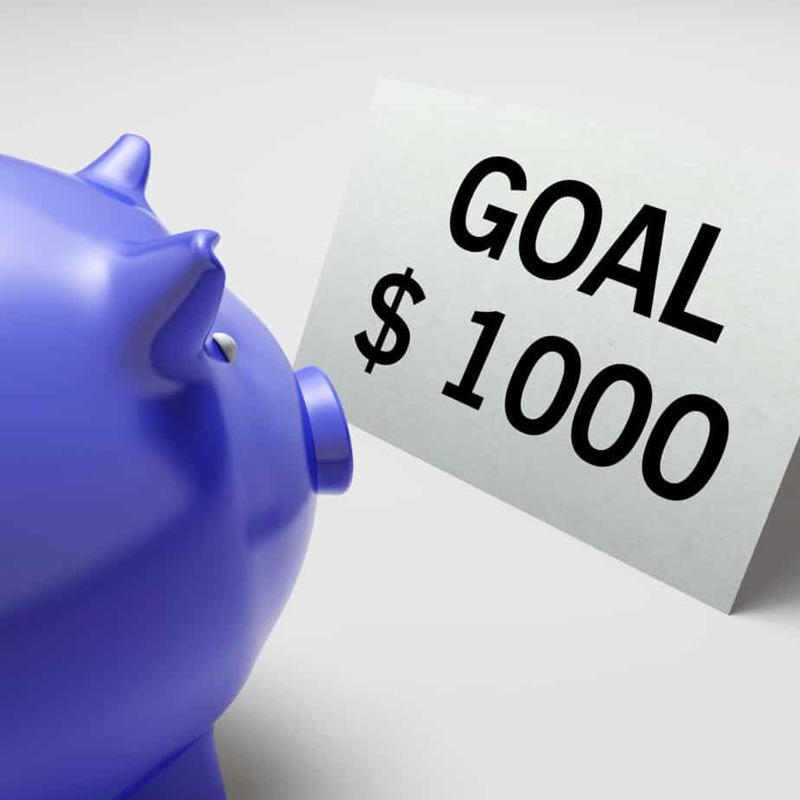 Once the first goal is reached, you can reapportion your savings to cover your old goals until they’re accomplished. You can also consider adding a new goal, if desired. Using these simple steps will make sure you reach your goals in as timely a manner as possible and that wardrobe additions don’t overpower your budget!